Kent Creative has served a wide range of clients over the years, from major national and international corporations to small and local businesses and nonprofits. Highlights include work for Lindt Chocolates, Hannaford Brothers, Meineke, UNTHA America, swissRTec, The Music Hall, and Sportshow Expositions. Kent Creative has won awards for Best Annual Report for Unitil Corporation, and for Best Economic Development package for both the City of Somersworth, New Hampshire and the City of Dover, New Hampshire. 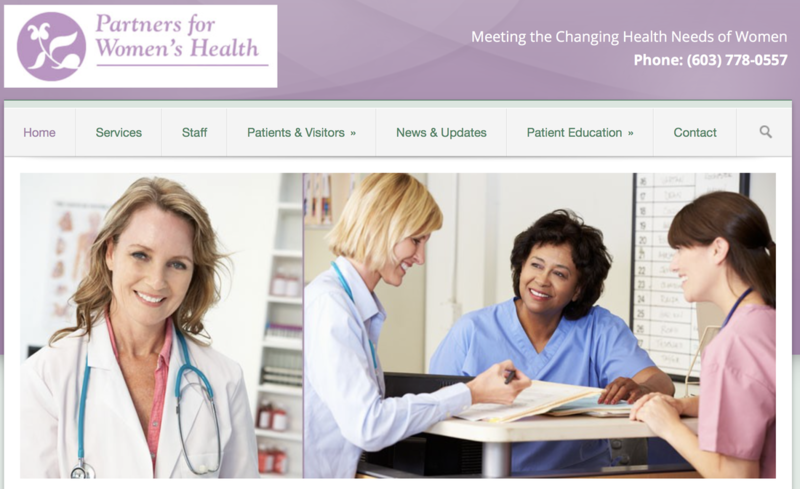 ​Partners for Women’s Health needed a new corporate identity and messaging after many years in existence. A new website was designed with numerous patient-friendly features, and the visual theme and informational message was repeated throughout brochures and advertising. Patients enjoy the bi-monthly columns and updates, and the site is a great forum for sharing news with patients or those considering the practice. ​This compelling photo of a teary child brought home the personal nature of York Hospital’s emergency care. Other materials created for York Hospital included displays, print pieces, and additional ads. ​Each month, utilities communicate with customers about services, community efforts, safety, industry news, programs and other key information. Designing a visually strong newsletter is key so that customer’s pay attention to the information. For 15 years, Kent Creative created award-winning newsletters for Unitil’s electric and gas customers. Patricia Fortunato, interior designer of Fortunato, Inc.
​The City of Dover needed a complete campaign to spread the word about its unique character and vitality as New Hampshire’s fastest-growing city. A multi-page full color booklet was created to provide insights into the city’s economic opportunities and family-friendly environment; the City of Opportunity theme was then repeated in a simpler brochure for trade shows, rack card, advertising, trade show display and revamped website.